May 20th marked the release of Blake Shelton's tenth studio album, If I'm Honest. This album marks the first time we see Blake co-write any of the tracks since 2010's Hillbilly Bone, with Go Ahead And Break My Heart, Friends and Savior's Shadow all being included and interestingly these three tracks are where Blake really shines. Whether it is due to the fact that he has had a hand in writing the actual track or whether it's just come down to the overall production choices each track adds a different dynamic to the album and showcases Blake well. It was Go Ahead And Break My Heart that actually drew me to this album in the first place. I was, of course, interested in hear what music Blake would produce after his divorce but am not a huge fan of his so it wasn't necessarily a given that I would actually purchase whatever album was born. Receiving a largely positive response, Go Ahead And Break My Heart is a really impressive track that channels Blake and Gwen's chemistry to create a compelling and emotive moment on the album. The duo's voices blend together surprisingly well throughout and it's nice to hear it set up as a proper duet with the production pitched at a level that adds a gritty edge to the track. Lead by a solid drum beat and electric guitar hook the instrumentalisation also makes grows and fades as required to make a distinction between the chorus (with both Blake and Gwen's voices) and the verses (that have just one of them singing). It is clearly a well thought through track, the popularity of which was clear even before the album was officially released - nicely done Blake and Gwen! I was a bit apprehensive of what Friends would sound like when I first heard that it had been used in the Angry Bird's movie but I actually really like it. The catchy drum lead production leaves you tapping your feet almost immediately and lyrics like "just some roughed up desperadoes, hanging tough through thick and thin" leave you smiling through a track that is sure to be relatable to a lot of listeners. Album closer Savior's Shadow is completely different. The softest track on the album, it is also where we seem to hear the most emotion from Blake. Initially released as the second single from the album (set to imminently be followed by She's Got A Way With Words), co-writers Jessi Alexander and Jon Randall deliver emotive backing vocals in a track which, in it's lullabic nature, allows a listener to feel almost wrapped up in it. Blake channels a sense of delicate vulnerability into his own vocal which just serves to heighten the appeal of the track. Unfortunately the shortest track in the album at only 2 minutes 44 seconds long, I am sure this will become a favourite for a lot of people. Unfortunately, there are some tracks that don't work as well. Straight Outta Cold Beer, for instance, feels as though it's Blake's 'bro-country' track and, to be honest, it is just slightly annoying. From an artist that releases gorgeous tracks like God Gave Me You this track just makes me roll my eyes and skip it fairly quickly. You can almost guess exactly what the track is going to be like just from the title, certainly not a good decision to have it open the album in my opinion! Similarly, the lack of lyrical depth in Doing It To Country Songs leaves you with the same, mildly annoyed feeling. The majority of the track seems to be a repeated "doing it to country songs" which does absolutely nothing to increase it's appeal. Whilst Straight Outta Cold Beer and Doing It To Country Songs are the two songs that stuck out for me in terms of their poor quality, this album unfortunately feels a little average. The three tracks that I originally mentioned are very strong but even then there is no stand out moment to really blow a listener away. It's not intrinsically bad but I just feel like it doesn't really shine as it could. I'm sure this album will appear to listeners who are already fans of Blake but whether the album as a whole (and not just a few tracks) will appeal to a wider audience I'm not so sure. 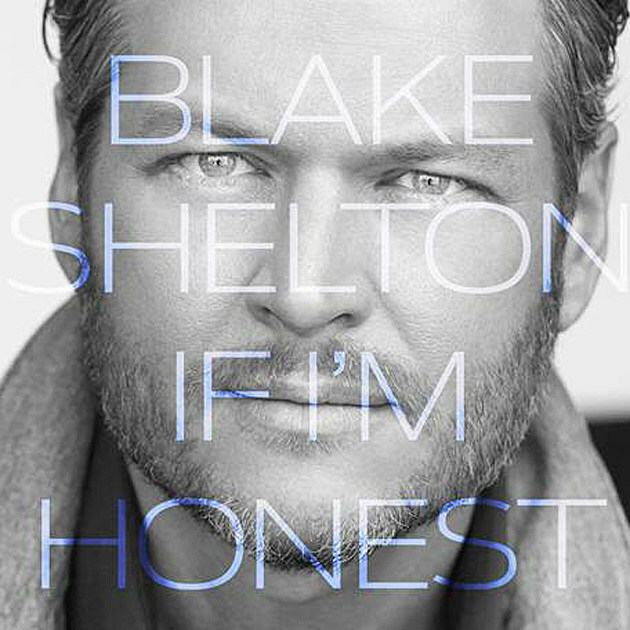 Labels: Blake Shelton "If I'm Honest"